What Can Young Kids Do? What do you do with a 5 year old? For some reason people seem to expect young kids to be less able than older kids. And that’s really not the case. In my opinion, it’s not that young kids are less able, it’s that they’ve had less exposure. Said another way, it’s not that they’ve been around on the planet for less time but that they’ve been around circus for less time that makes them less able. We probably all know this but the main way that very young children learn is by copying. So if they’re brought up around circus they’ll copy circus. The earlier the exposure and the more time devoted to copying and learning circus the better they’ll be by the time they’re five. I can’t wait to see what she’ll be like by the time she’s five. Our classes for young kids have exactly the same content as our classes for older children. So what’s the difference? Well, there really isn’t any difference in the content – all of our classes include juggling, trapeze, tightwire, acrobatics and more – but the delivery style changes with the different age groups. Our 5-7 students have slightly more structure than the 8-12s who have slightly more than the teens. As students get older, they naturally gravitate towards certain skills and away from others, possibly disregarding some skills entirely. 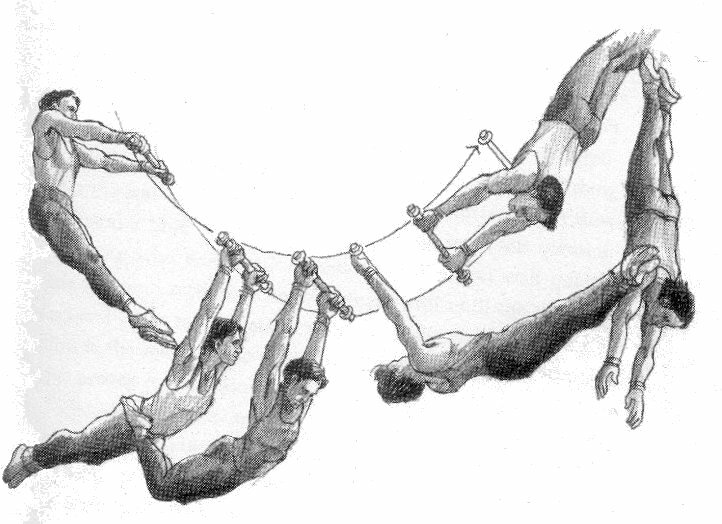 One of our teens told me last week that she’s not interested in acrobatics at all and doesn’t want to do it. She’s got her heart set on the unicycle and is always ready and eager to get back on it and practice each week. And that’s more than ok by me. Not everyone is built for, or interested in, every circus skill, and that’s one of the beauties of circus: there’s something for everyone. Although at the moment we only offer classes for young people who are 5+ I’m committed that as Airborne Circus grows we start to offer classes for pre-schoolers and toddlers too. The early we get them the better they’ll become! In the meantime here are a couple of videos of young children who started circus early on. They obviously didn’t learn this overnight but it should give you a sense of what young kids are capable of if they’re exposed to circus early and given the chance to learn. A colleague made a comment a while ago that when I teach kids (I teach everything from 2-year-olds through teens to adults) I treat them like adults. And although that isn’t exactly true, it’s been sitting in my mind for a while. Over the years, when I’ve watched other people teach young children, I’ve often cringed a little inside. It’s not that what they’re teaching is bad because it’s not. Often they’ve been teachers that I respect very highly. But what makes me cringe is when I see teachers patronise kids. 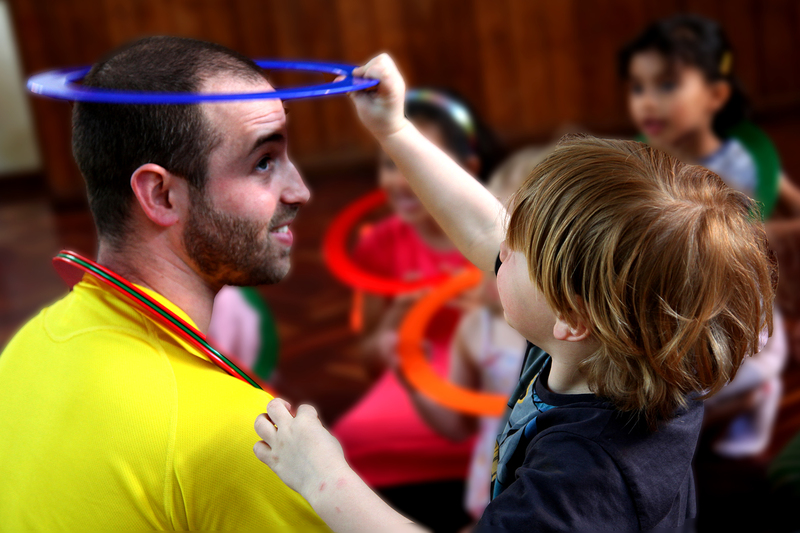 Ever since I started teaching I’ve strived to continually develop myself as a better teacher – either by learning (or refining) circus technique, learning related subjects (eg., gymnastics, first aid, leadership), or developing new ways of being and working with young people to get the most out of them. Through these posts I hope to be able to offer you some new ideas, tips, and thoughts that will encourage and support you in being a better teacher. About a year ago I wrote six tips for teaching youth circus and I thought it was about time I followed up with something similar. Rather than write six more tips I decided that I’d go into a bit more depth into those six original tips one by one. I enjoy teaching far more than I ever enjoyed performing. My performing career was pretty short-lived. I didn’t love it. I performed because I should; because that’s what circus artists do. It wasn’t an authentic expression of my passions, my desires, or of me. It was a struggle, an effort and, although I enjoyed performing while I was actually performing, it was ultimately unfulfilling for me. When I was about 10 and learned to juggle the first thing I did was try to teach the other kids in my class. Teaching for me has always been a much more natural expression of myself. It’s easy for me; it’s fun. Stop and consider for a moment why you teach. If you’re teaching because you love it, brilliant. But if you’re teaching because you have to, because you need the money, or for any other reason, you’re probably not going to be satisfied by it, and your students won’t get as much from your teaching. Even if you need the money – and believe me I still need the money I earn from teaching! – creating a bigger, more powerful context for yourself will give new life to your lessons, it’ll bring you more enjoyment, and it’ll have students respond better to your teaching. There are many ways to create a new context but before you try to create a new context make sure you distinguish your current context. Up until now, why have you been teaching? Think about your thoughts, feelings and bodily sensations leading up to, during and after your class. Think about the things you said and how you responded to students questions, comments or actions. Look at who you’re teaching for (are you teaching for yourself or are they for another person or organisation?) and what you or they have said about the classes, students, or even the business. If you look at your whole experience of teaching you’ll start to discover the context you’ve had for teaching so far. There’s nothing wrong with your current context, it just may not be as empowering or enlivening as you’d like. And there’s nothing to say that you can’t have an empowering context one day and a disempowering context the next. Maybe it’s empowering, maybe it’s not, but whatever it is it’s the context you’ve had. Once you’ve discovered and distinguished the context you’ve had so far you have an opportunity to create something new. Creating a context could be as simple as making declaration of why you are teaching. [A declaration] brings forth the possibility that it speaks, in the very act of speaking it. Such speaking has a direct and lasting impact; in the very act of speaking, it alters the course of events. It could be imagining or creating a vision board of where you see your classes or students in 5 or 10 years time. It could be creating a dream holiday and realising that each class is moving you one step closer. It could be creating a show with your students for the end of the year or term. Whatever you create, it’s got to be big enough that it inspires you, that it pulls you forward and gives you a new lease of life for your teaching. A small, ordinary context will shrivel and die a quick death. Having an unusually large goal is an adrenaline infusion that provides the endurance to overcome the inevitable trials and tribulations that go along with any goal. Realistic goals, goals restricted to the average ambition level, are uninspiring and will only fuel you through the first or second problem, at which point you throw in the towel. If the potential payoff is mediocre or average, so is your effort. I’ll run through walls to get a catamaran trip through the Greek islands, but I might not change my brand of cereal for a weekend trip through Columbus, Ohio. If I choose the latter because it is “realistic,” I won’t have the enthusiasm to jump even the smallest hurdle to accomplish it. With beautiful, crystal-clear Greek waters and delicious wine on the brain, I’m prepared to do battle for a dream that is worth dreaming. Even though their difficulty of achievement on a scale of 1-10 appears to be a 2 and a 10 respectively, Columbus is more likely to fall through. The fishing is best where the fewest go. There is just less competition for bigger goals. Once created, your new context needs to take root. If it only lives in your head it will be like a mug of hot chocolate: gone too soon, leaving nothing more than a yummy memory. Now, there’s nothing to stop you from creating and recreating each time it fades, but for your new context to live, grow and even expand it needs to live outside your memory. Share it with your friends, family, colleagues, students; make a vision board, stick post-it notes around your home, book your holiday flights, create a business or draw a picture. It doesn’t matter what you do as much as it matters that you do something. The more it lives outside of your mind the stronger it will be and more real it will become. Context is everything. And knowing why you do what you do is at the heart great teaching. About a month ago some friends of mine, Marcella and Tanwen, who have recently been performing flying trapeze with No Fit State Circus, moved back to London. Since they came back we’ve been flying together once or twice a week. It’s the first time in about 8 years that I’ve been on the flying trapeze regularly (for anything more than just a swing or two). Two old friends of mine perform their new quick-change act in Cirk Isis. Nice work Magali and Mattias! !